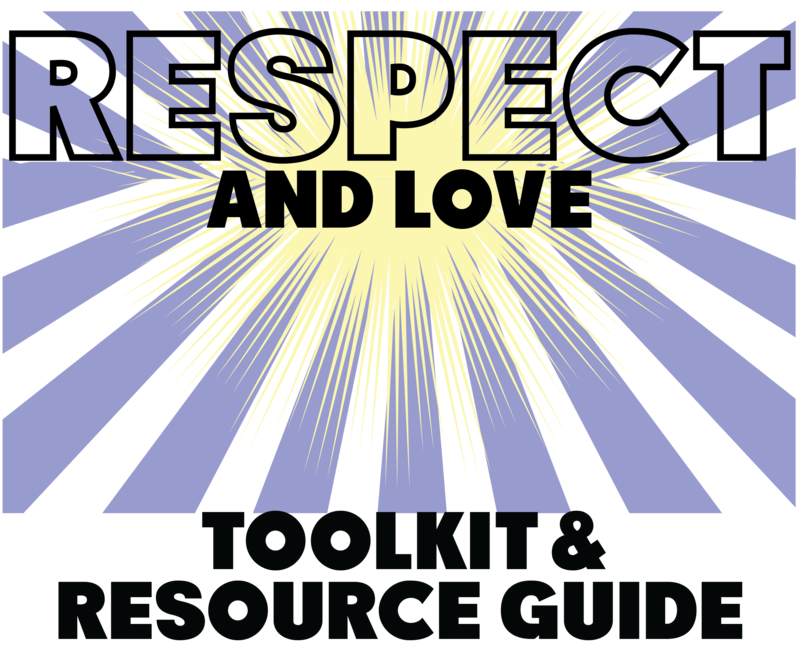 To download the "Respect & Love Toolkit & Resource Guide," please click on your preferred language: English, Spanish, Chinese, Arabic, Tagalog, Vietnamese, or Russian. To download the "Help Against Hate" resource card, please click on your preferred language: English, Spanish, Chinese, or Arabic. The San Francisco Human Rights Commission has recently released an innovative Respect & Love Toolkit & Resource Guide that serves as the first installment of an ongoing effort to provide additional resources to communities in need. This first Toolkit is a resource for members of the City’s immigrant community who live in fear stemming from their immigration status, and is also meant to educate and inform their allies. The Toolkit includes ways to identify and find support for newcomers, ensuring that San Francisco is a safe and inclusive City for everyone that offers access to important services geared toward integration and inclusion. In the spirit of the 50th anniversary of the Summer of Love here in San Francisco and Aretha Franklin’s recording of "Respect" (written by Otis Redding), now, more than ever, we need to foster "Respect and Love" for each other, our communities, and our City. The Toolkit was produced in partnership with other City agencies as a practical demonstration of San Francisco’s commitment to serve and support all people, including the Mayor's Office of Violence Prevention Services, Mayor's Office of Housing and Community Development, Office of Civic Engagement & Immigrant Affairs, Our Children, Our Families Council, San Francisco Pathways to Citizenship Initiative, Language Access Network of San Francisco, San Francisco Public Library, and San Francisco Unified School District. Although this first Toolkit focuses on immigrant issues, the HRC plans to expand the Toolkit to provide support for other issues, including accessing health care, LGBTQI support services, and courageous, caring conversations. HRC also plans to facilitate a series of presentations for other City departments and community based organization to introduce the Help Against Hate Campaign and how to best utilize the Toolkits to create more socially conscience and inclusive environments. The San Francisco Human Rights Commission and its City partners are committed to working proactively to ensure that San Francisco is a safe place for everyone regardless of race, color, religion, sexual orientation, age, ancestry, national origin, or protected bases. Because hate crimes are consistently under-reported each year, combating this issue will require multiple approaches including enforcement strategies, education, outreach and highlighting resources already available to communities in need. The Help Against Hate Campaign will gather resources and provide additional support against hate violence and the threat of hate violence and in support of the inclusion and protection of all. HRC enforces the City's laws against discrimination, including hate crimes. Hate violence or the threat of violence is illegal. It can be verbal or written threats; physical assault or attempted assault; hate-related graffiti, including offensive symbols; bomb threats; arson; disturbance of religious meetings; cross burning; vandalism; or property damage that is done because of a “protected class” such as race, national origin, sexual orientation, gender identity, and others. To file an inquiry with the HRC regarding discrimination or hate crimes online, please click here. For more information about the Discrimination Division of the HRC, click here. Enforcement is only one part of the City's solution to combatting hate crimes. The Human Rights Commission, in partnership with community based organizations, will provide a multitude of services aimed at helping to solve issues of prejudice and intolerance end to end. This includes education campaigns to help communities better understand each other; discussion forums to openly address issues within communities; and training and awareness events. Services also include, 24 hour hotlines to report a hate crime for victims and witnesses. Anonymous tools are particularly important for communities that are forced to live in the shadows, are worried about immigration status, or persecution from family members, among other reasons. San Francisco has become known as a city of progress, diversity and acceptance, with more than 800,000 residents living in the city - women, immigrants, LGBTQ, Muslims and others protected from hate crimes and discrimination. The City will continue to explore new strategies, tools and funding committed to protecting the rights of all its citizens. To download the Help Against Hate Campaign resource card, please click on your preferred language: English, Spanish, Chinese, or Arabic. 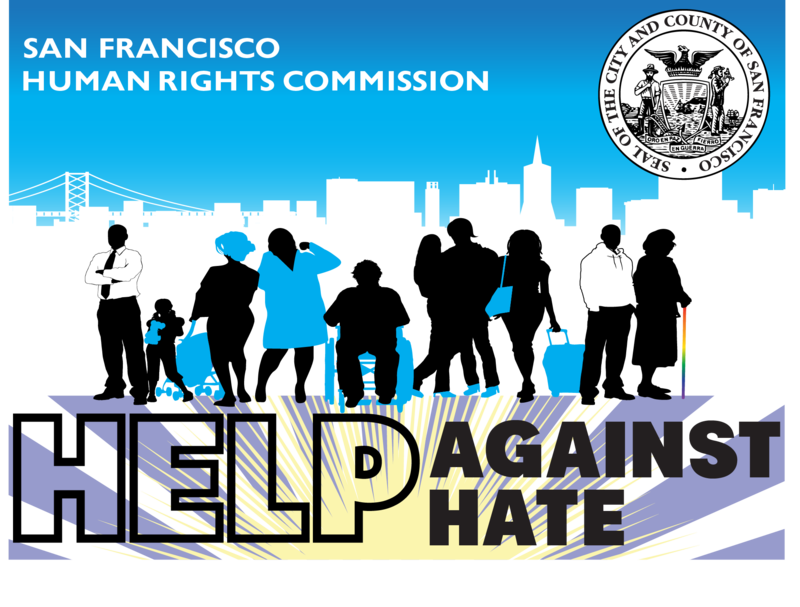 For information on the San Francisco Coalition Against Hate Violence, click here. For Asian Americans Advancing Justice - Asian Law Caucus's Stand Against Hatred, click here.